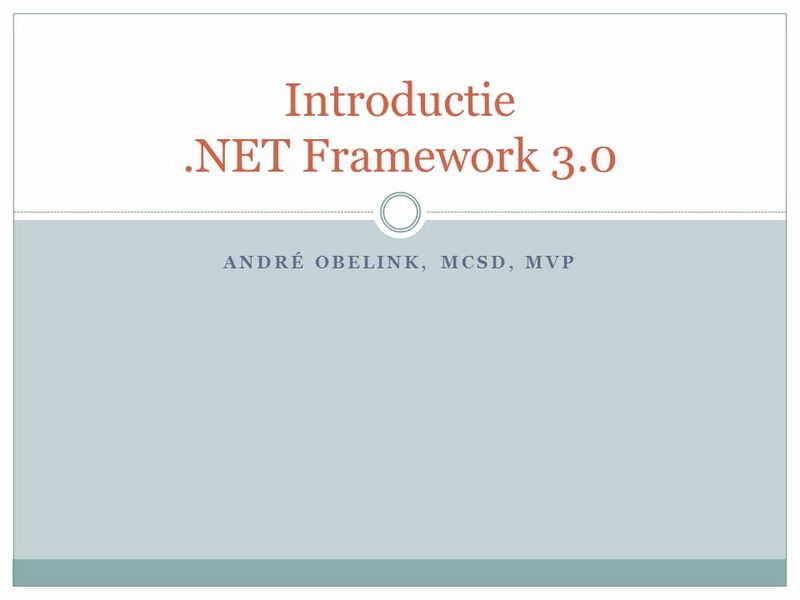 ANDRÉ OBELINK, MCSD, MVP Introductie.NET Framework 3.0. 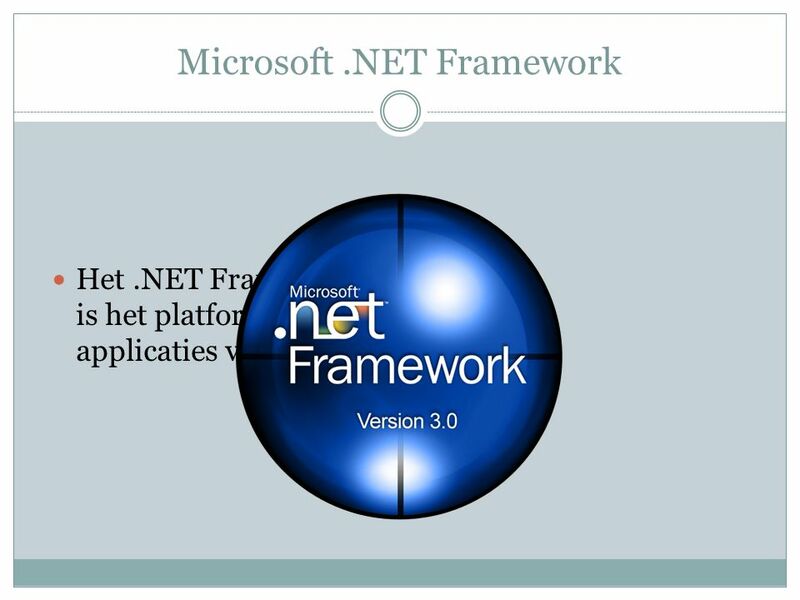 4 Microsoft.NET Framework. 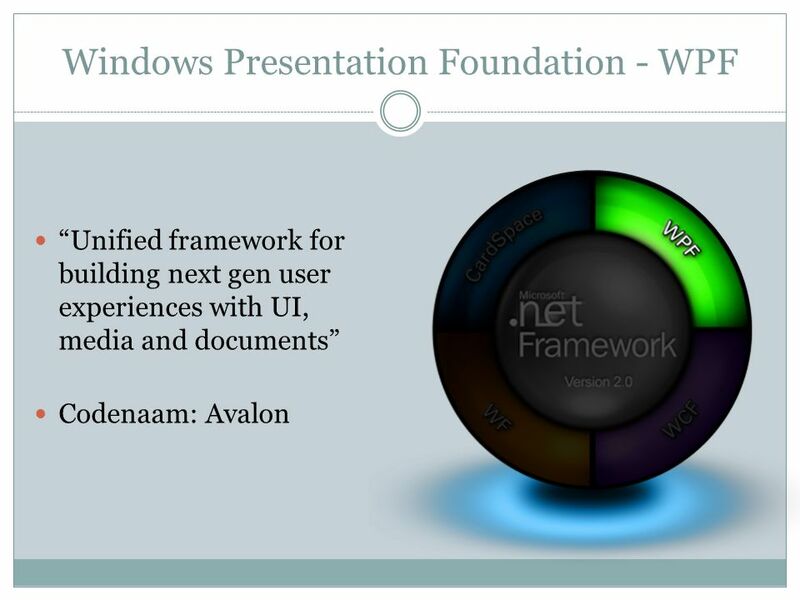 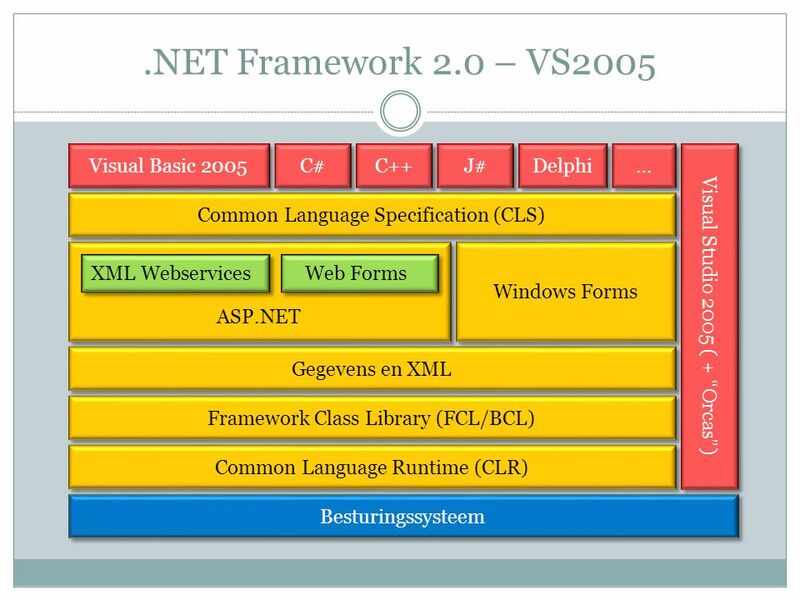 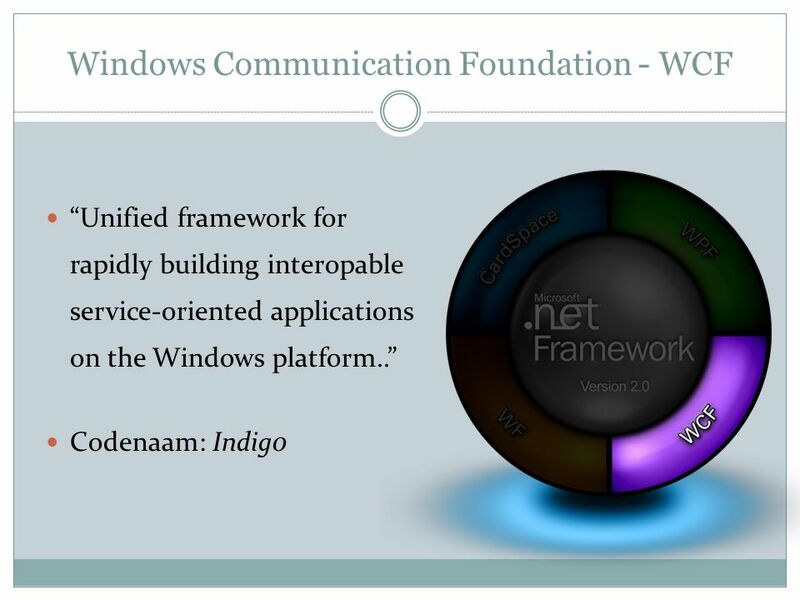 Het.NET Framework 3.0 is het platform voor de applicaties van morgen. 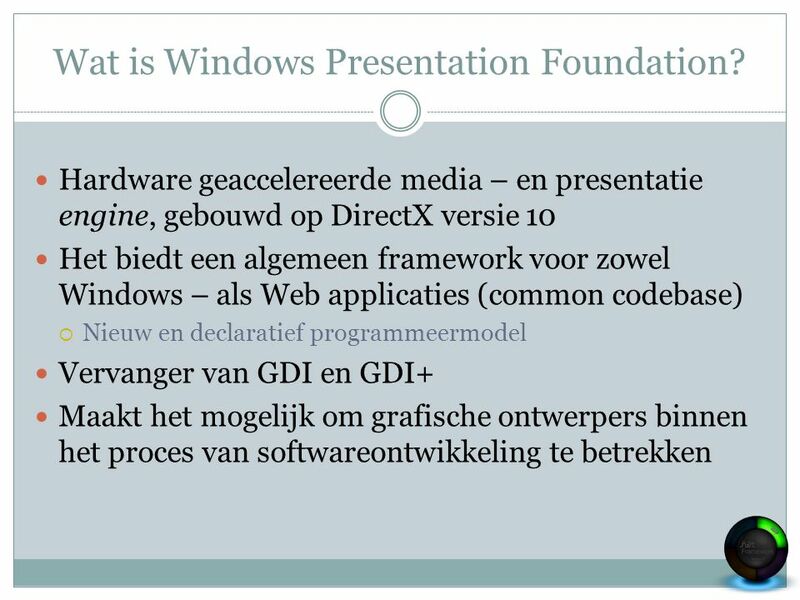 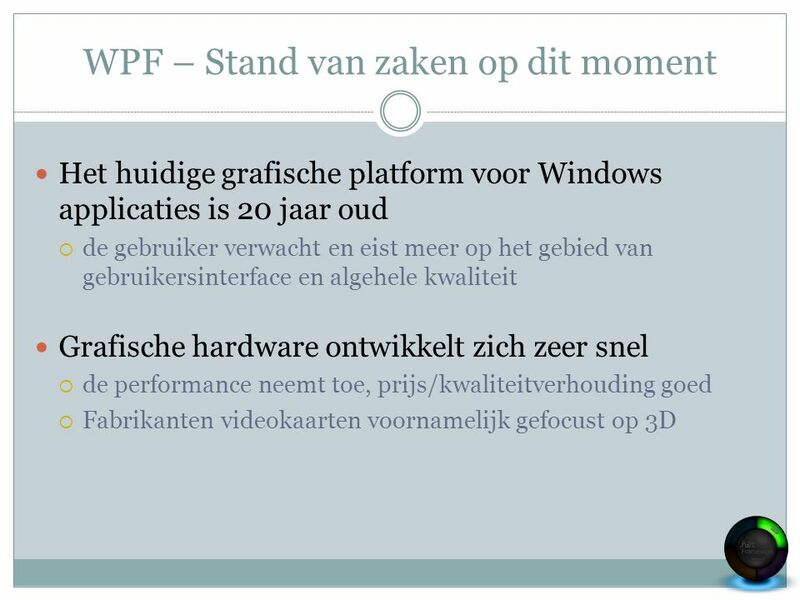 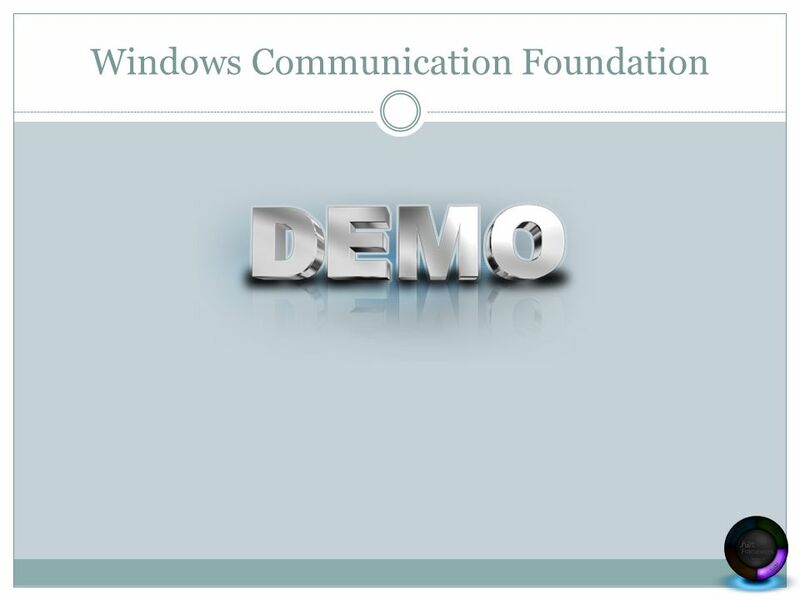 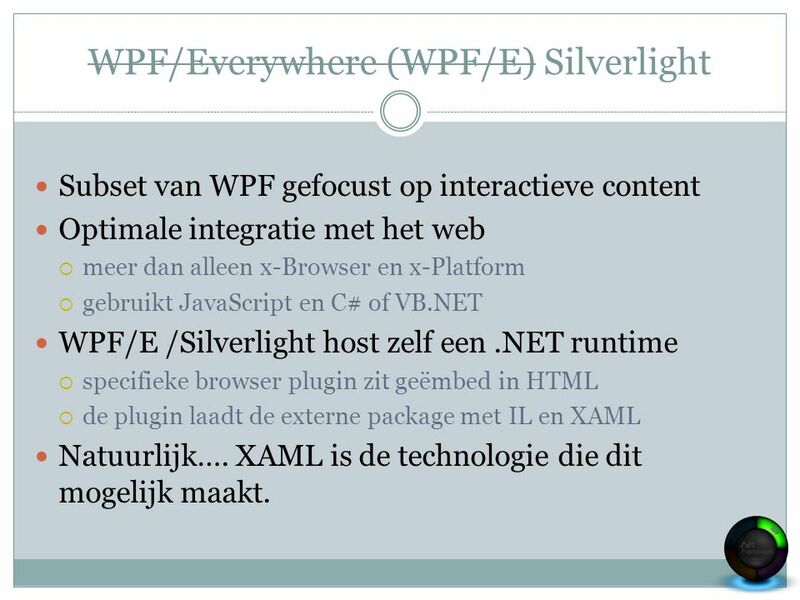 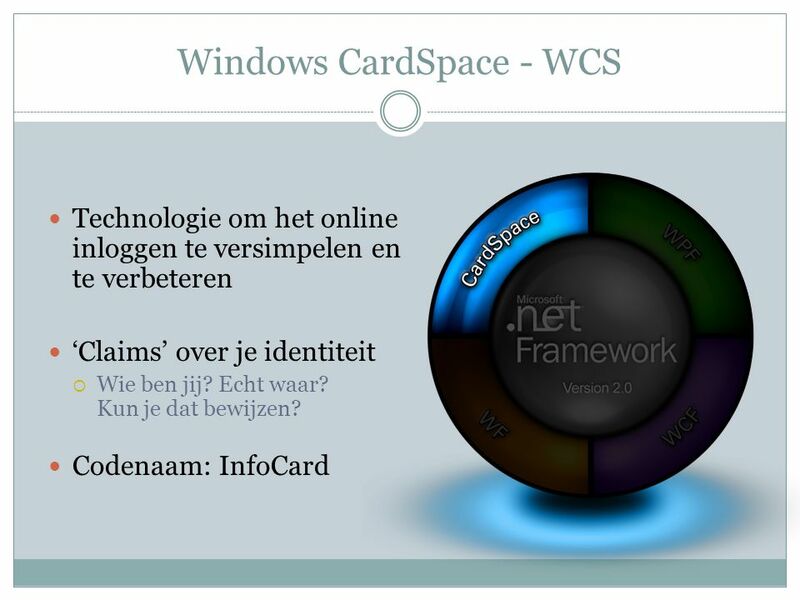 14 Windows Presentation Foundation Spiegeling here, spiegeling there… spiegeling everywhere! 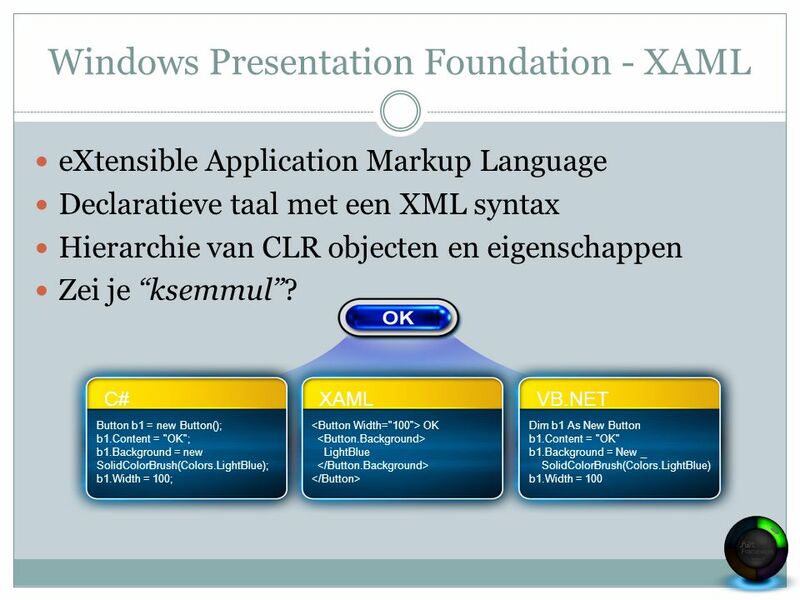 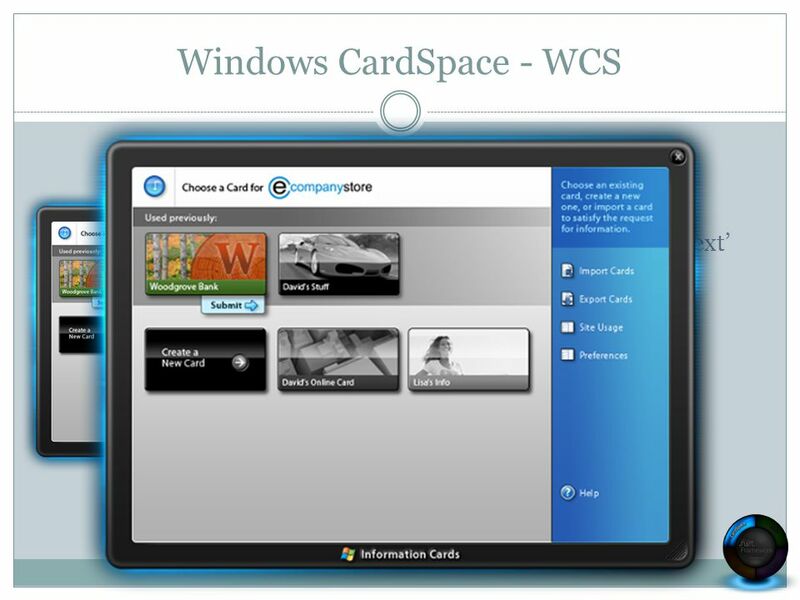 18 Client Endpoint C C A A B B Service Endpoint A A B B C C WPF – Client en Service Message Endpoint A Adress Waar? 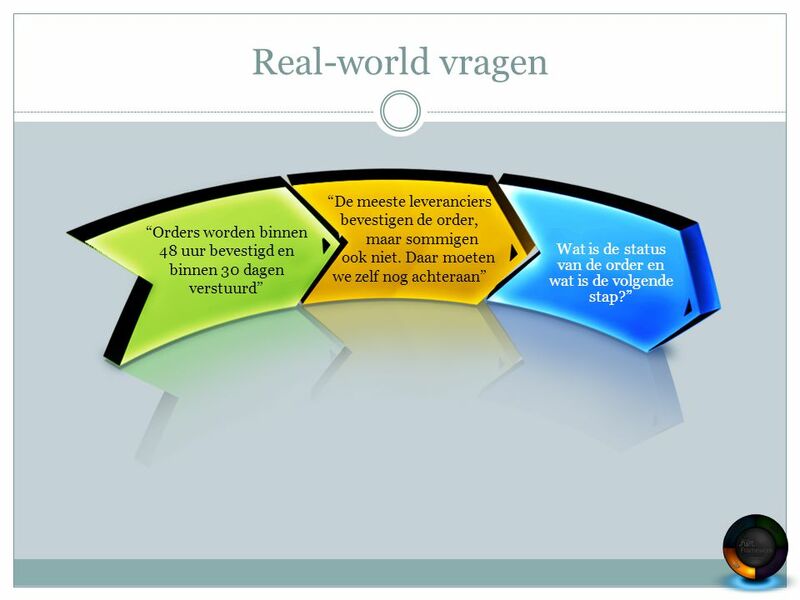 A Adress Waar? 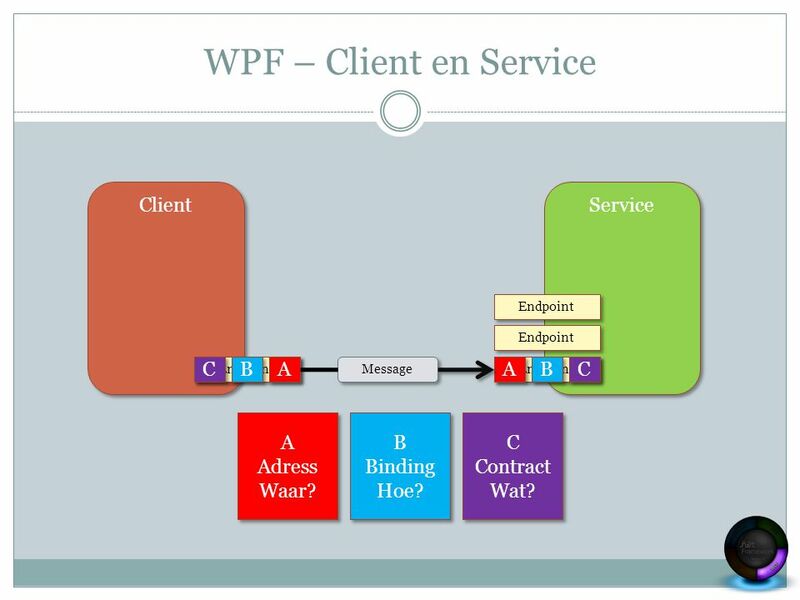 B Binding Hoe? 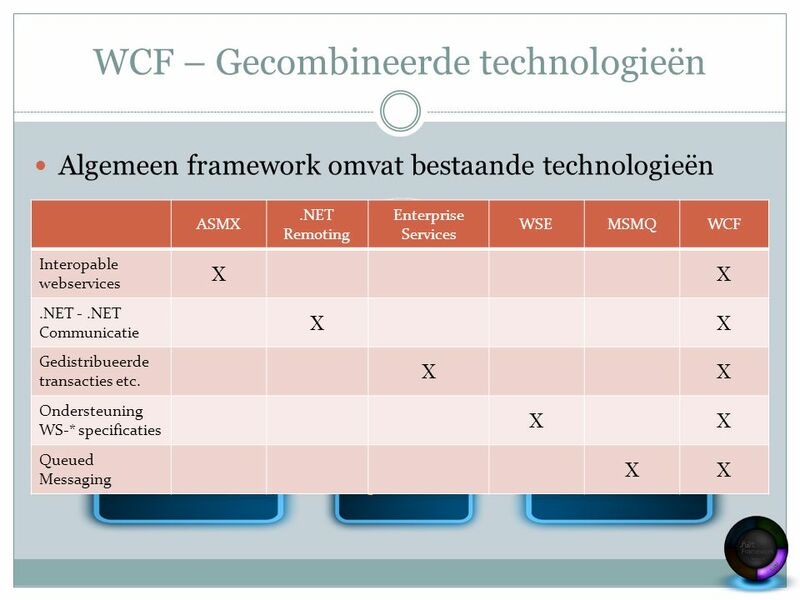 C Contract Wat? 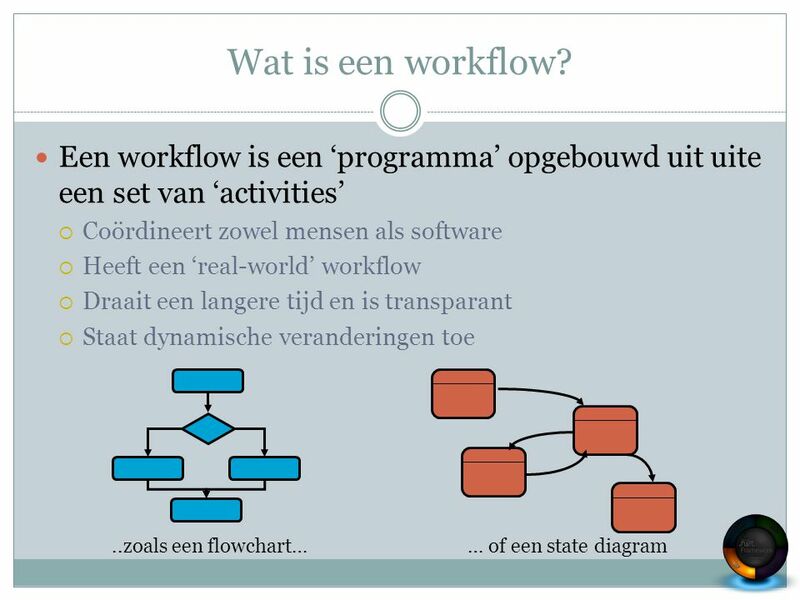 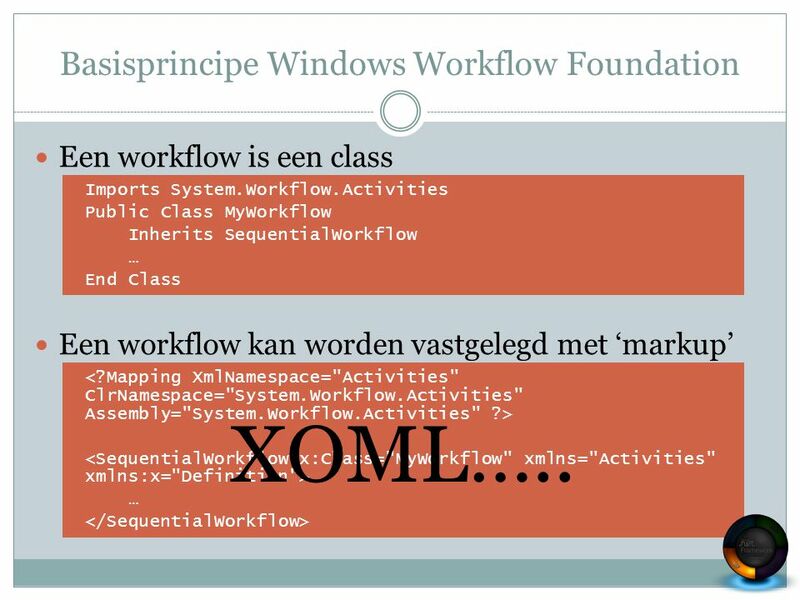 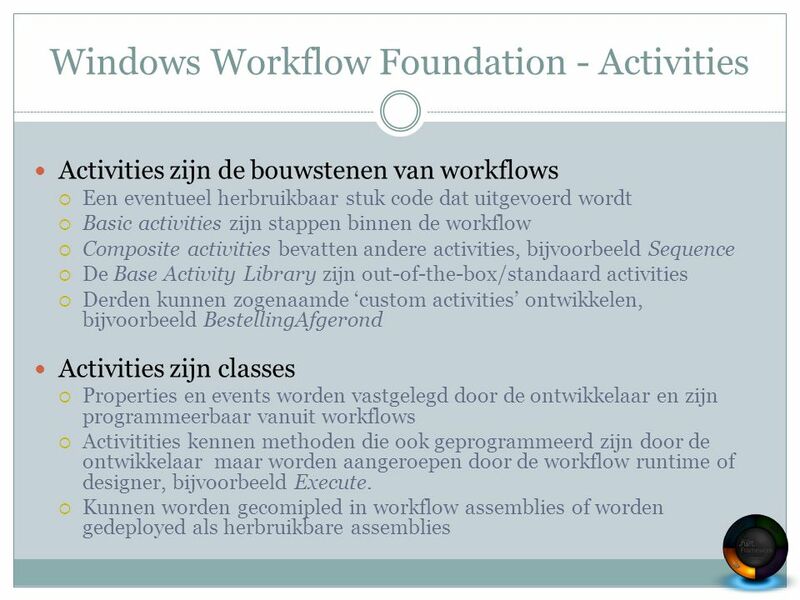 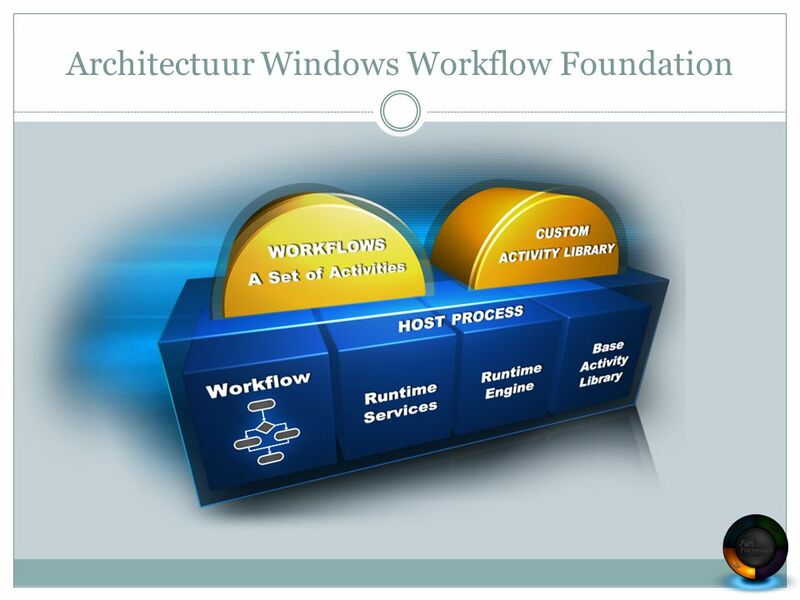 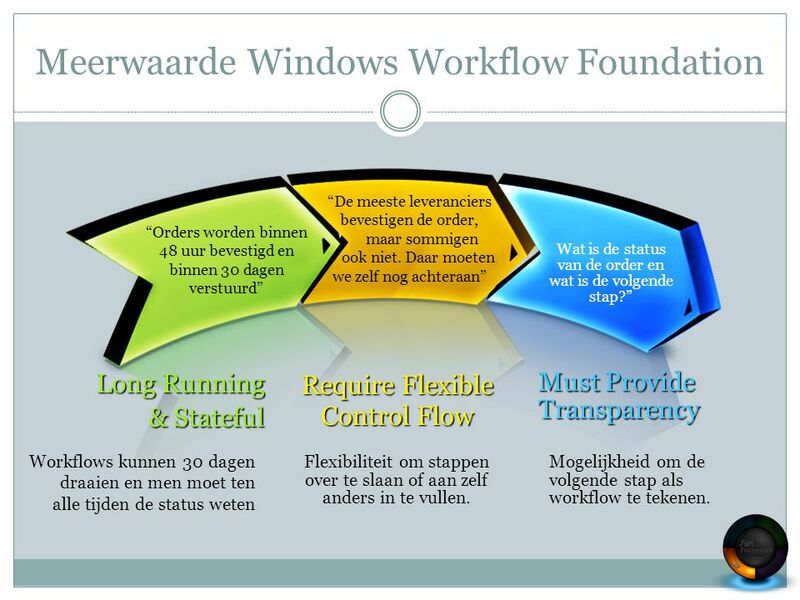 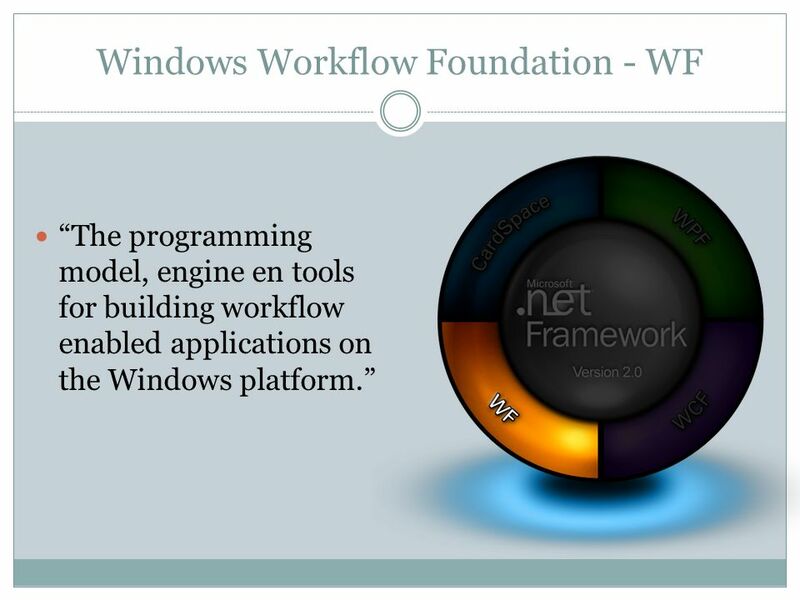 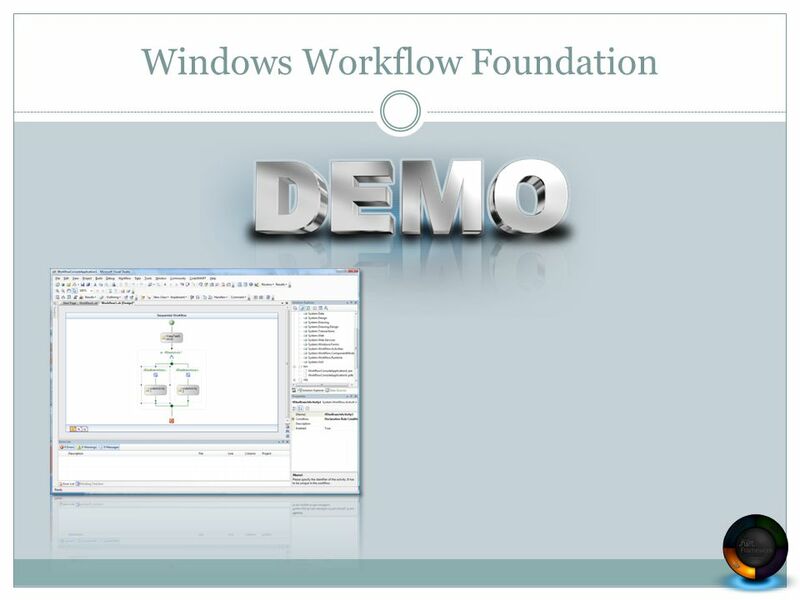 26 Basisprincipe Windows Workflow Foundation Een workflow is een class Een workflow kan worden vastgelegd met ‘markup’ Imports System.Workflow.Activities Public Class MyWorkflow Inherits SequentialWorkflow … End Class … XOML…..
29 HTTP://WWW.NETFX3.COM © 2007 – ANDRÉ OBELINK WWW.OBELINK.COM Vragen? 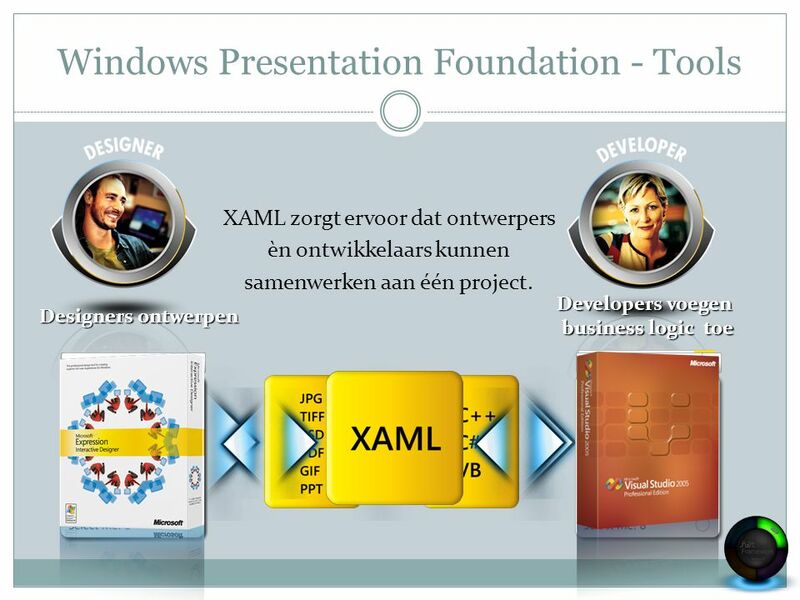 Download ppt "ANDRÉ OBELINK, MCSD, MVP Introductie.NET Framework 3.0." 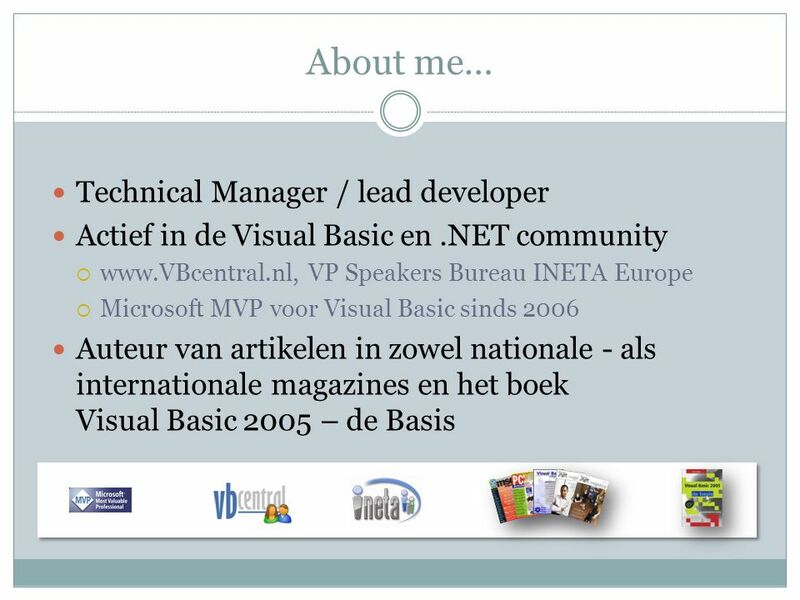 49e adlib gebruikersgroep vergadering Brabants Museum 7 december 2004 Bert Degenhart Drenth. 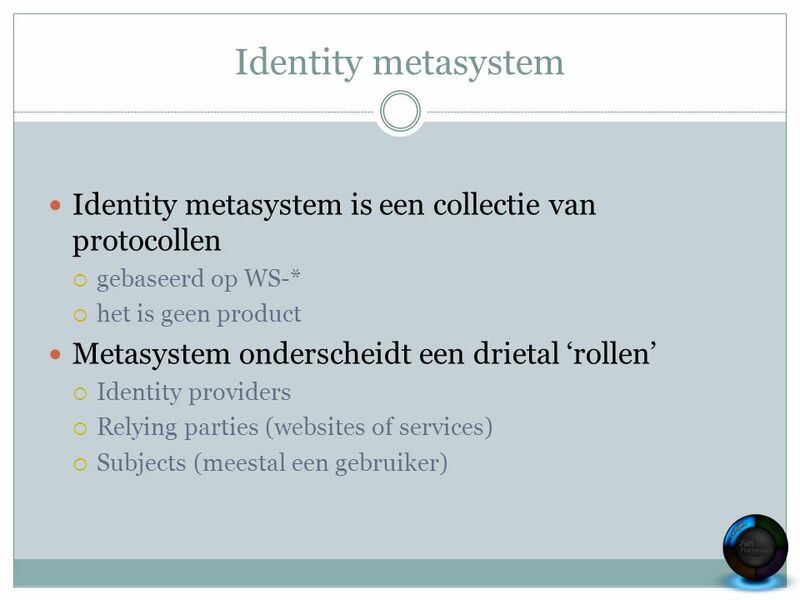 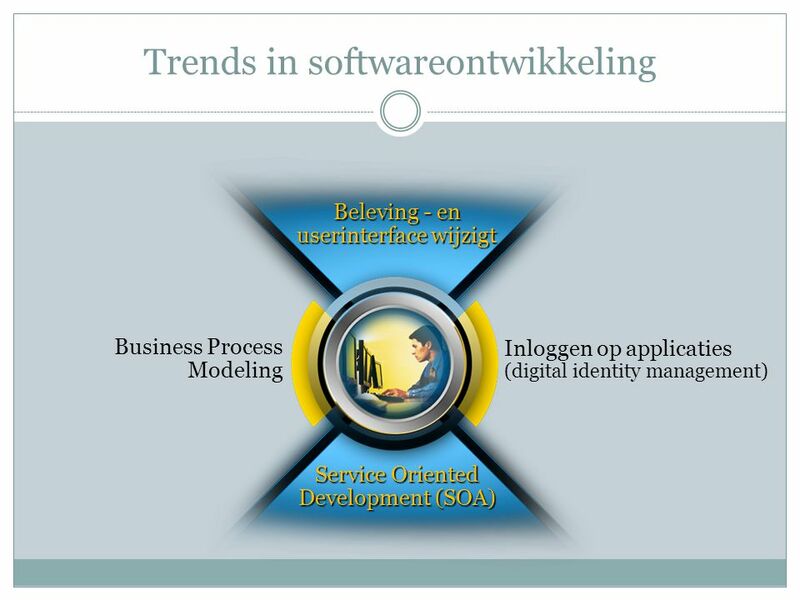 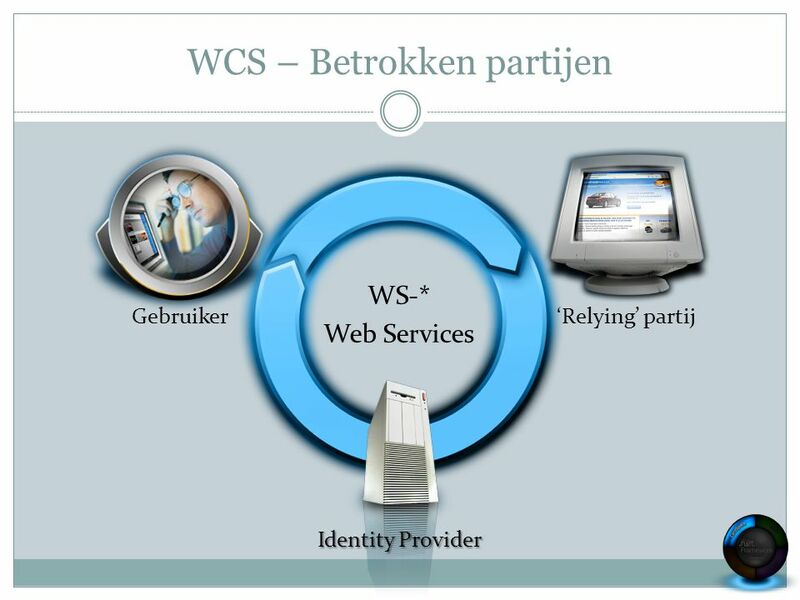 Basic Web Services Technology Matthijs Smith & Roel Arents tbv ISS 2005/2006.